This skin resurfacing facial reduces pores, scarring, pigmentation, fine lines, and wrinkles. The skin tone and texture is visibly softer, smoother and younger looking. A personalised, deep cleansing and regenerating facial, which combines the powerful effects of Essential Oils and deep penetration of high performance ingredients. This intensive facial will leave your skin smooth, clean and radiant which lasts for weeks. Tailor-made making it perfect for all skin types. Specialised collagen and hyalauronic acid treatment to combat dehydration and minimise the appearance of lines and wrinkles. 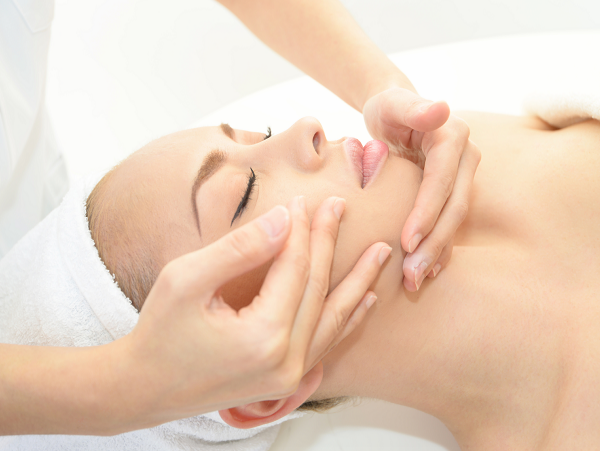 This facial leaves you relaxed and your skin looking younger and smoother. Lifting-Beaute Facial including the Catiovital Facial to smooth lines, rehydrate and deep cleanse the complexion. The lifting effect that defies surgery. The perfect blend of natural aromatherapy and technology to give outstanding results. This anti-ageing, lifting treatment incorporates our existing pure collagen Lifting Beaute Facial with the new Catio Lift Facial to give outstanding smoothing, lifting and radiant results. This is our ultimate, luxurious, lifting facial treatment. Consisting of 3 of our most effective Mary Cohr facials by combining the Catiovital, Lifting Beaute and the new Catio Lift facials. This results in a superb anti-ageing, lifting, redefining, radiance facial treatment. Noticeable effects can be seen after just one treatment so imagine a course of 5! This facial uses 100% natural Essential oils and plant extracts - tailor-made to the needs of your skin. Incorporating exfoliation, massage to face, neck and shoulders and finishing with a mask. Mary Cohr is a specialised, effective skin care range, created by experts, and recommended by professional Beauty Therapists. The treatments and products have been carefully designed incorporating natural Phyto Aromatic oils and active plant extracts to enhance each and every skin type to it's full potential. *N.B. All the Catio Lift facials are recommended as a course of 5 for best lifting results - 2 treatments per week and are perfect for any skin type. Results can be seen from the first treatment. This simple cleanse, exfoliate and mask treatment is an ideal skin booster for those short of time. This exfoliating facial smoothes fine lines and brightens the complexion using concentrated Glycolic Acid. A unique patented blend of antioxidants, anti-inflammatories and hydrators soothes and revitalises to reveal a softer, smoother skin. MURAD combines advanced scientific research and technology, practical clinical experience and pharmaceutical-grade ingredients to create high performance skincare products and treatments that are designed to work on the deepest layers of the skin. This excellent combination transforms the complexion. This deep cleansing, resurfacing treatment reduces breakouts and blemishes while dramatically improving clarity and smoothness. This scientifically-formulated, dual-function facial helps to clear clogged pores, soothe redness and relieve inflammation while exfoliating, boosting elasticity and plumping the skin to diminish the appearance of fine lines and wrinkles. This express deep cleansing facial powers away dirt, dead skin and impurities to keep skin free of grime and build up. Using fruit enzymes and antioxidant pomegranate, this facial leaves your skin fresh, clean, and glowing. Suitable for all skin types - especially congested and younger skin. Wrinkles, loss of elasticity and pigmentation are minimized as Immuno-Skin Complex re-programs the skin for youthfulness, while five high performance exfoliators, hydrators and brighteners rapidly resurface and rehydrate your skin. This is Murad's most active exfoliating facial treatment delivering amazing retexturing results. Restore the luminous glow to your complexion with this luxurious multi-active, anti-ageing and firming facial. It's the ideal antidote to dry skin, fine lines, loss of elasticity, dullness and even occasional hormonal breakouts. Advanced collagen building technology boosts elasticity and firmness to reduce the appearance of medium to deep wrinkles while gentle exfoliators clear skin of dullness and stimulate cellular turnover. Intense hydration restores suppleness, texture and tone to the skin. After one treatment, you'll see that youthful Murad glow! Reverse the signs of aging that result from exposure to everyday environmental factors such as sunlight, smog, pollution and stress with this antioxidant rich treatment. Using Dr.Murad's infusion technology to deliver pure Vitamin C directly to the skin to brighten, support healthy collagen levels and neutralize skin-aging free radicals. Restore your skin's natural radiance and clarity, reduce pigmentation and smooth fine lines and wrinkles and in just one treatment. This deep cleansing and exfoliating treatment treats breakouts, oily, congested skin or severe acne. This scientifically formulated facial uses fruit acids to deep-clean clogged pores, dramatically improve skin clarity, and reduce redness and blemishes whilst preventing future breakouts.